If you’ve started searching for Alfa Romeo dealers in New York, we’re going to assume that you’re most enticed by the brand’s Italian engineering and style. Few car brands can promise as much luxury and opulence as Alfa Romeo, and customers will naturally pursue these vehicles due to the impressive architecture. 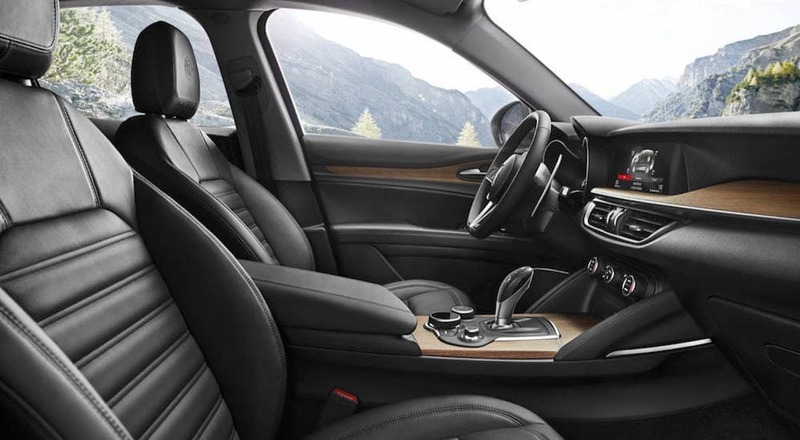 However, these customers might be ignoring all of the additional amenities that are included in Alfa Romeo’s array of vehicles. For instance, these car buyers might not be aware of the impressive sound systems that can be added to their purchase, and they might be undervaluing the vehicles’ performance and safety capabilities. Car buyers consistently get distracted by a targeted vehicle’s performance or style. However, this often means that they neglect to consider one major automotive attribute: technology. Sure, these inclusions might seem like a luxury. However, when you consider that you’re going to be spending the majority of your time inside your new vehicle, it might make you value those technological features a bit more. Unsurprisingly, Alfa Romeo’s vehicles, including the 2017 Stelvio, are chock full of innovative amenities. If you tend to enjoy jamming out to your favorite tunes during any road trip or commute, then you’ll surely appreciate the inclusion of the Harman Kardon Premium Audio System. Including a 900-watt amplifier, 14 speakers, and the unique Logic 7 HiFi System, occupants will truly be receiving an optimal listening experience. Alternatively, drivers can opt for the perfectly-adequate eight-speaker audio unit. Of course, that only skims the surface of the technological amenities included in the 2017 Alfa Romeo Stelvio. The sound system is connected to the brand’s 6.5-inch widescreen color display, which provides drivers with easy access to navigation and radio applications. Drivers can also take advantage of the seven-inch TFT Cluster with Dynamic Display Controller, which will display information like vehicle diagnostics and fuel efficiency right in front of the operator. Alfa Romeo is considered an Italian sports car, so some car buyers may assume that engineers skimped on safety in favor of better performance. While the 2017 Alfa Romeo Giulia is a rugged, powerful SUV, that doesn’t mean that the safety functions are compromised in any way. Rather, it’s the contrary, as the array of preventative safety functions should make the model one of the safest options in the entire class. The Integrated Brake System is one of the most notable inclusions, as the unit can provide that extra bit of stoppage power when needed. Thanks to this inclusion, drivers won’t require as long of a stopping distance, and the intuitive design means that operator will constantly feel like they’re in complete control. This technology teams up with the Forward Collision Warning Plus system to keep the driver and their vehicle out of harm’s way. The unit will detect when your SUV is approaching another car at too great of speed. After alerting the driver via audible and visual cues, the vehicle can automatically apply the brakes to lessen or prevent impact. Even the standard back camera with rear park sensors is a notable safety technology. This inclusion lets drivers monitor everything that’s happening behind their vehicle, allowing them to anticipate if a vehicle or object is about to cross their path. Thanks to this feature, drivers can reduce the chance that they end up in a fender bender. The 2017 Alfa Romeo 4C Coupe is one of the sportiest cars in the entire industry. Therefore, it shouldn’t be all that surprising that the accompanying engine is athletic and powerful. However, when you begin to dig into the specific specs, you might be surprised at how capable the unit actually is. The turbocharged, inline-4 engine manages to pump out some incredible performance specs at 237 horsepower and 258 pounds-feet of torque. These numbers end of playing a huge role in the vehicle’s other performance capabilities, including the 160-mile-per-hour top speed and the 4.1-second 0-to-60 time. Of course, the brand’s engineers specifically designed their vehicle so it could accommodate all of this power. The inclusion of front discs and Brembo calipers will improve that previously-mentioned braking ability, which will be especially useful if you often drive in harsh weather conditions. There’s also a Launch Control, which will boost acceleration (especially from a stop), and a unique DNA System, which will reconfigure your vehicle’s mechanics to accommodate the impending road conditions. The 2017 Alfa Romeo Spider may be the brand’s most impressive vehicle offering, which is a pretty lofty “hot take.” We’d argue that the model includes all of the previously-mentioned amenities, as well as a whole lot more. Ultimately, you’re not going to find a more impressive vehicle elsewhere (which is pretty much confirmed by the Spider’s relatively high MSRP).